The Monterey Peninsula is comprised of Monterey, Pacific Grove, and Carmel. It is by far one of my favorite slices of the CA coast. Being only a little over 2 hours from our home in Fresno, it’s totally worth the little jaunt over and I find myself visiting for day trips, engagement sessions, and weekend getaways all the time. So much so that I really consider it my second home. My husband Spenser’s grandma has a vacation home in Pacific Grove that she is so gracious to let us use when we visit. It is the perfect home base for our adventures and she’s currently letting me redecorate a couple of the rooms. That’s a blog post for another day! Over the years I’ve found quite a few little gems in this area and I get asked for recommendations all the time, so I figured why not do a little travel guide! Hope you enjoy! Stationaery - A new restaurant in Carmel that is doing everything right. Delicious breakfast and brunch food, wine by the glass, and of course, coffee. This place is so so easy on the eyes and if you’re in Carmel you have to stop by! 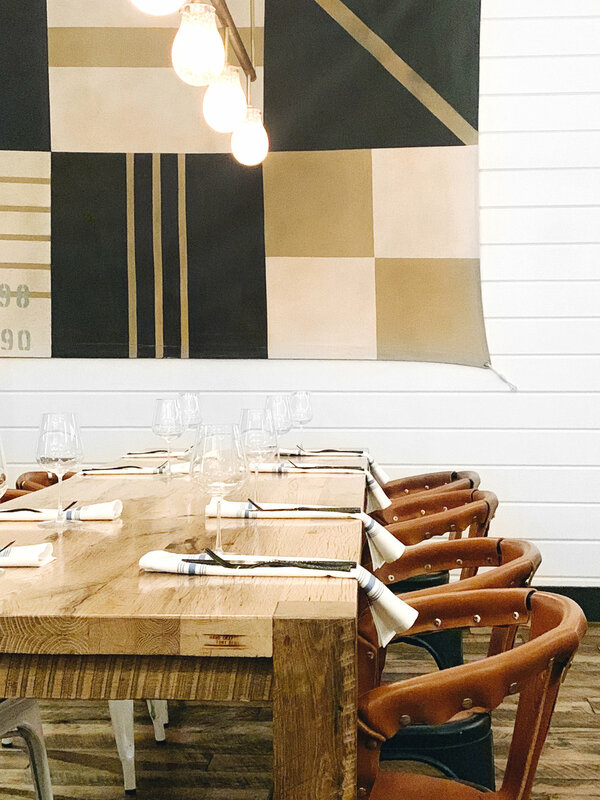 Saltwood Kitchen & Oysterette - We tried this place for the first time on our most recent visit to Monterey. I was super impressed by the interior of the space. It was so thoughtfully designed I wanted to move in. Took some design notes for myself haha! Probably would’ve been even cuter if I would’ve gone during the day when the natural light was streaming in but we went in the evening. The menu is pricey and we weren’t trying to drop $100+ so we got oysters and drinks and a little appetizer each and we weren’t dissapointed! The topped grilled oysters were my favorite! You can also go for happy hour “sunset sessions” and sit on their patio by the fire pit from 3-5, totally doing this next time! 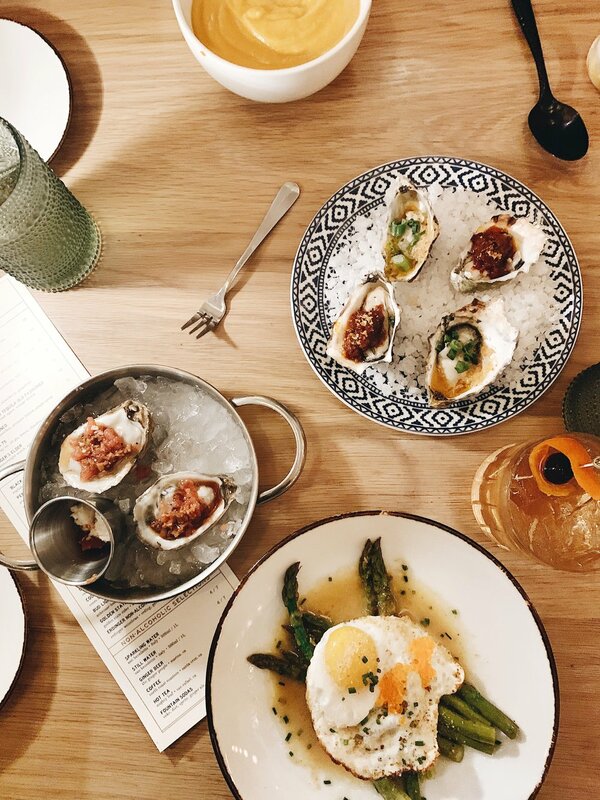 Poppy Hall - From the owners of Big Sur Bakery comes a very well received Rustic Californian restaurant serving dinner and Sunday Brunch. This place is right up the street from the beach house in PG so we enjoy walking here! Alvarado Street Brewery - Usually ends up being our night cap, the food is decent, but the star here is their beer! I love their hazy beers and they currently have quite a few on the menu! We like sitting out on their back patio around the fire pits in the beer garden! Passionfish - Our go to special occasion restaurant. We went here for Spenser’s birthday dinner this year. It’s a sustainable seafood restaurant with a super impressive wine list that they offer for very little markup! Get the scallops and the biscuits and a bottle of wine to share! Bright Coffee - A super cute little spot with a shop (Lillify) attached to it that sells local and independently made goods! I love looking around the store while waiting for my coffee. My husband makes fun of for always taking the same photo of the arched door surrounded by succulents almost every time we go. Guilty as charged, it’s just too cute! Definitely my favorite coffee shop on the peninsula! 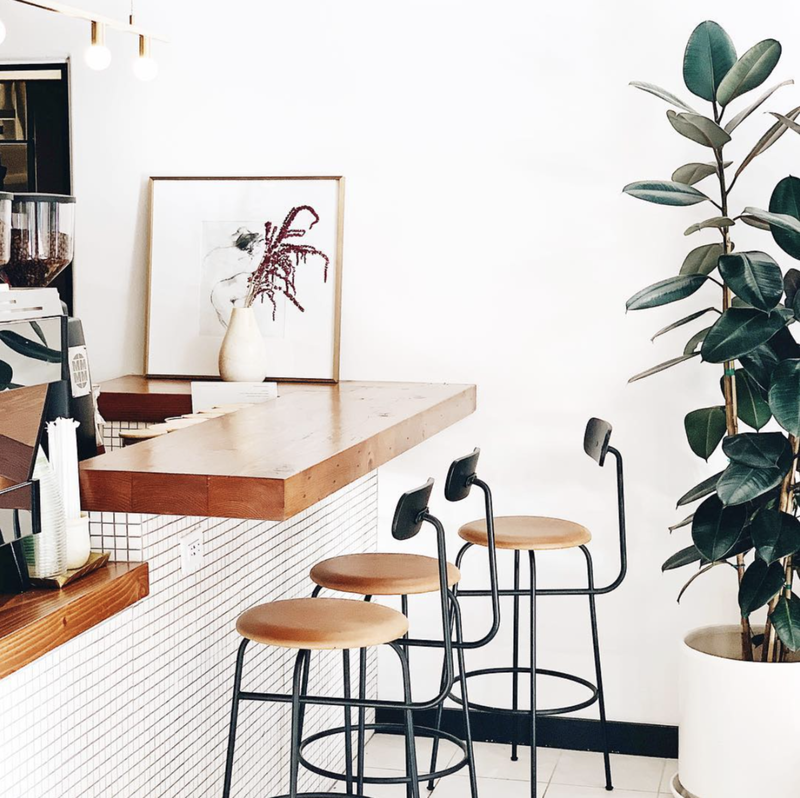 Captain + Stoker - This place is pretty hip with it’s bike theme and avocado toast boasting menu, its very open and airy so it’s great on a sunny day! Happy Girl Kitchen Co. - If you like vegan and healthy treats, or anything pickled try this place. Also right up the street from the house so it’s always a nice little morning walk! Garrapata State Park/Bixby Bridge - A little ways South on HWY 1 is Big Sur! Which is a travel guide in itself, but you can catch the beauty of the North end of Big Sur without driving too far! Garrapata State Park is the first place in Big Sur you’ll approach coming from Carmel and it’s a go to for me for engagement sessions because of how beautiful and accessible it is! A little further is the iconic Bixby Bridge and then maybe 30 more minutes down the road you’ll get into the redwoods of Julia Pfeiffer State Park. Across the street, Julia Pfeiffer State Beach with it’s famous “purple” sand and famous arched rock is definitely worth a little day trip! 17 Mile Drive - Such a great drive to do at sunset. You’ll see incredible homes, golf courses, and beautiful coastline. 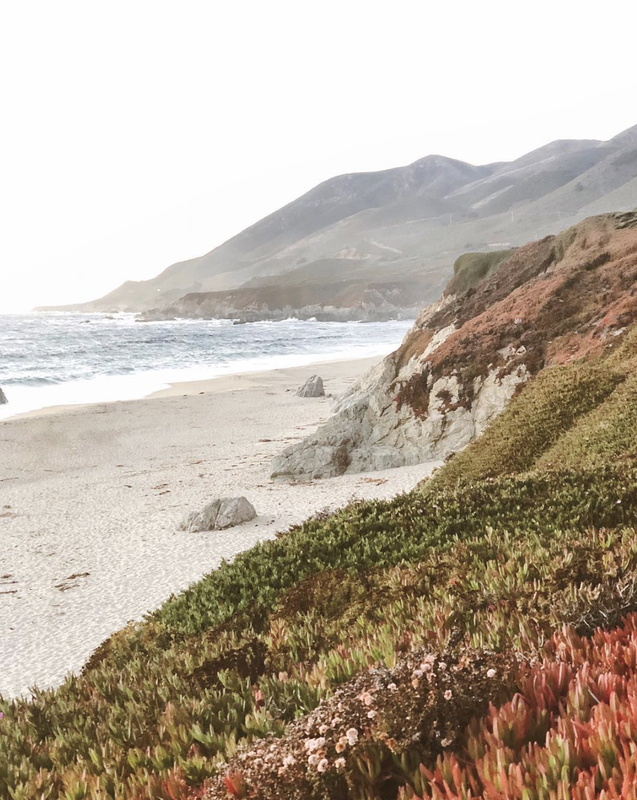 Make a stop to see the Lone Cypress along the way and have a drink at Spanish Bay’s restaurants around the outdoor fire pits. Point Lobos State Park - Easily one of the prettiest places in CA. If you haven’t been to Point Lobos yet, do it. So much beauty in one place. It’s $10 to get in and they are open until sunset everyday. Don’t be alarmed by the parking lot full sign, usually I have good luck finding a spot inside! You can also park on the street and walk in and avoid the $10 fee but it is a pretty long walk to the actual park. Start with the Cypress Grove Loop Trail!. Monterey Bay Aquarium - The best aquarium ever. No really. We always enjoy visiting the aquarium with Spenser’s grandma’s guest pass. We usually pop in to see what’s new or stare into the deep sea exhibit. While you’re on Cannery Row, get a sample of clam chowder from Fish Hopper but the rest of Cannery Row is kinda a snooze fest for me, too touristy! Shopping in Carmel - Carmel is full of art galleries and boutiques aimed towards an older crowd, but there are some stores a younger demographic would appreciate as well and it’s just fun to walk the charming streets of the quaint town. Anthropologie, Girl Boy Girl, Paloosh, and Coast Carmel are good starting points. Full disclosure, i’ve never stayed at any of these places, because we stay at Spenser’s grandmas vacation home across from Lover’s Point in Pacific Grove for free.99 but my good friend Emma told me about the modern farmhouse airbnb and i’m kinda dying to have a group of friends go in on this place with me. Hotel Carmel looks so cute and quaint and the Casita Bonita airbnb look so charming as well!